As part of the Volkswagen empire SEAT spotted an opportunity by rifling through some of its relations' unused stock, taking Audi's previous generation A4 and changed its name to SEAT Exeo. As part of the Volkswagen empire SEAT spotted an opportunity by rifling through some of its relations' unused stock, taking Audi's previous generation (B7 if you understand Audi's model codes) A4 and changed its name to SEAT Exeo. Naturally Audi's styling differs from SEAT's so a new nose and rump were added, the interior borrowing from the round-air vented A4 Cabriolet rather than the saloon. The Exeo was a canny fix for a model range hole for the Spanish wing of the Volkswagen group. Clever reengineering and restyling gives the Exeo its own look, though park it alongside the Audi A4 and the familial proportions are obvious. That made it something of a clever buy new, buyers getting a cut-price Audi. It also makes a lot of sense on the used market. The model range, unsurprisingly, followed that of the previous A4 throughout other markets, though in Ireland you'll be buying a British import unless it's powered by a 2.0-litre TDI engine - even across the Irish Sea that diesel unit dominated sales. To drive it's very like the old A4, which is to say fairly unremarkable, though refined and comfortable enough. Where its real appeal lies is the quality; this a bona-fide premium bargain, thanks to the wearing of that SEAT badge on its re-profiled snout. 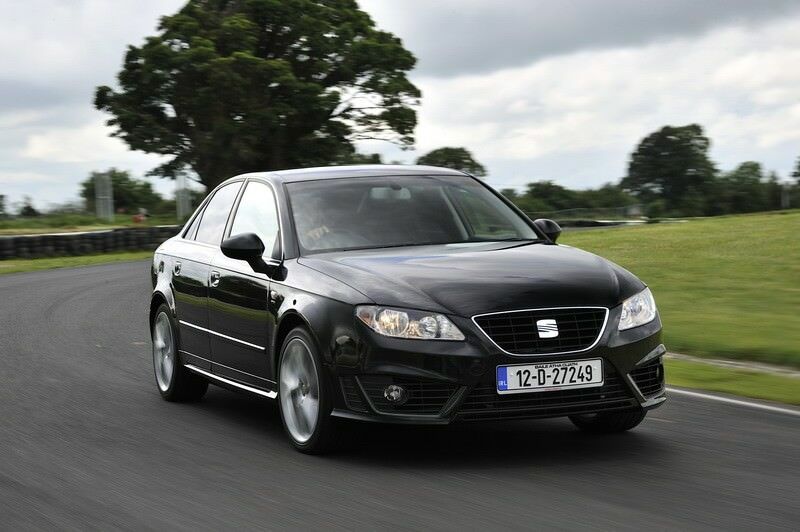 The saloon was the biggest seller here, though SEAT did offer it as an ST (Sport Tourer) - or estate car if you prefer. That 2.0-litre turbodiesel engine combines good performance with fine economy too, while equipment levels across the range are generous - even entry-level models should feature air conditioning and electric windows while the range-topping Executive models came fully loaded. Sport adds slightly stiffer suspension, which does unsettle the ride a bit. It may be premium inside, but the old A4 was never noted for its spacious interior, so the rear seats are a bit tight on leg- and headroom - adequate for children, a bit tight for adults. We'd be tempted by the additional practicality of the ST estate, though the smart saloon appeals too. Engines? There's only one, so the 2.0-litre TDI it is. As to trim it depends on budget, but Reference won't leave you wanting really, though Executives aren't much more if you want everything. An Audi for SEAT money? That's exactly what the Exeo is, which makes it something of a bargain. Sure, it's old Audi technology and space isn't generous, but the Exeo remains a canny choice for the used car buyer wanting their money to go far.